KM Construction Inc. is a full service roofing contractor serving McHenry, Lake, and Northern Cook County. At KM Construction, our professional roofers in McHenry, Lake, and Northern Cook County are dedicated to quality and attention to detail on your roofing project. 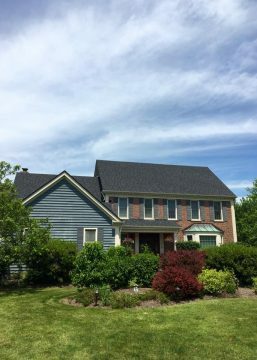 While this takes a bit longer, our process ensures that you receive a superior quality roof that will last: a roof that will stand up to the elements and endure for years. Our roofing company will use the best materials, trusted craftsmanship, and back it all up with a 50 year peace of mind transferable warranty. KM Construction Inc. has been installing roofs in McHenry County and surrounding areas for over 20 years. We believe in using only the best roofing materials and installing them carefully. We achieved our certification with GAF in 2015 (top 5% roofers) achieve this certification. GAF Master Elite Certified means our roofing professionals have continuously demonstrated proper roofing installation techniques and procedures.